1. 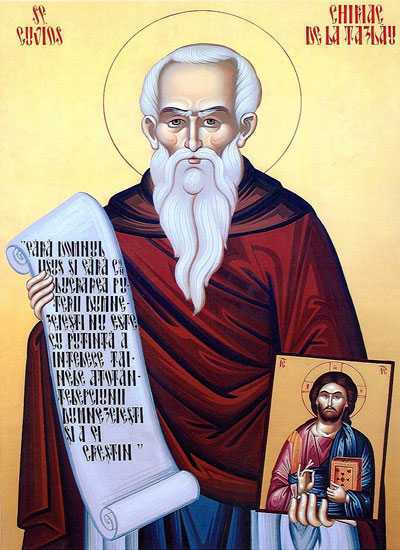 Saint Joachim, the son of Barpathir, was of the tribe of Judah, and was a descendant of King David, to whom God had revealed that the Savior of the world would be born from his seed. Saint Anna was the daughter of Matthan the priest, who was of the tribe of Levi. Saint Anna’s family came from Bethlehem. 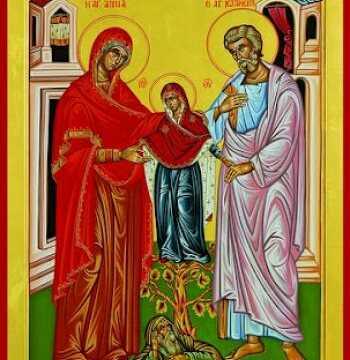 When Saint Anna learned what humiliation her husband had endured, she sorrowfully entreated God with prayer and fasting to grant her a child. In his desolate solitude the righteous Joachim also asked God for this. The prayer of the saintly couple was heard. An angel told them that a daughter would be born to them, Who would be blessed above all other women. He also told them that She would remain a virgin, would be dedicated to the Lord and live in the Temple, and would give birth to the Savior. Obeying the instructions of the heavenly messenger, Saints Joachim and Anna met at the Golden Gate in Jerusalem. Then, as God promised, a daughter was born to them and they named her Mary. 2. Ven. Kyriakos was born at the beginning of the 17th century to a family of religious people in Mesteacăn village, region of Neamţ. 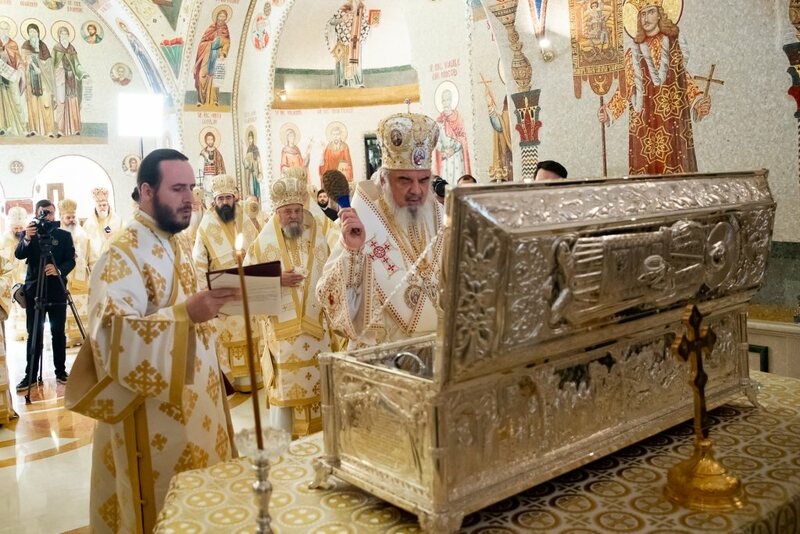 His parents used to take him to religious services at Tazlău Monastery ever since he was a child, so that he felt that his soul is “exalted by the divine longing”. He received his parents’ blessing and joined the community of this monastery from his youth. He became used to the monastic life and then was tonsured into monasticism. There he proved much love and spiritual aspiration, having been a special observer of obedience in self-denial, praying permanently and fasting extensively. Soon, without his own accord, he was ordained deacon and then priest, having become a good spiritual adviser of other people. His desire to live a harder life made him retire into a cave at Măgura Tazlaului, where he kept vigil all night, overcoming great cold and devilish temptations. Having acquired the gift of pure prayer, of healing the diseases and of casting out the demons, crowds of monks and faithful always wanted to seek for him. The pious monk was always also defender and confessor of the true faith, keeping the flame of Orthodoxy burning in all the region of Neamţ. He climbed the steps of holiness in quite a short time and was very useful to all the others through his renowned living, through his prayers and advice, since he was blessed by God with the gift of thoughts discernment and could perform miracles during his lifetime. He passed away about 1660 and was buried in the church porch of Tazlău Monastery. 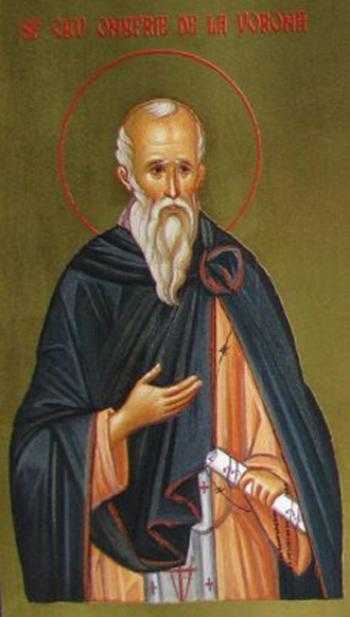 The people considered him saint ever since his lifetime, a fact also confirmed by Saint Hierarch Dosoftei, metropolitan of Moldavia, who knew him and who venerated his holy relics, writing: “I lived at the time of outstanding fathers who had great humbleness: father Kyriakos from Bisericani and Kyriakos from Tazlău”. 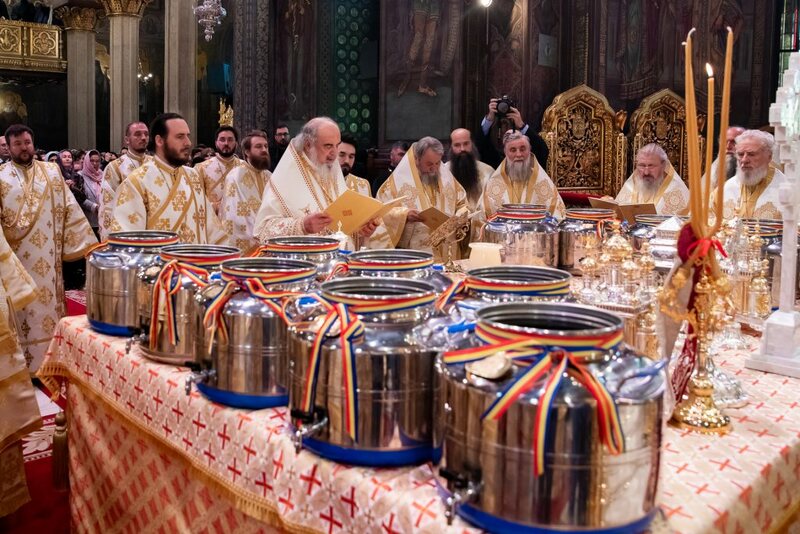 In the Paterikon of the Romanian-Moldavian Saints, of 1888, it is written: “It was also at this time that pious father Kyriakos from Tazlău Skete lived in hermitage, fought against the invisible enemies and perfectly defeated them”. One proof of his holy wonderful life is that after death, when his body was unburied, it was found unaltered. Monks and faithful from everywhere come to his grave to pray with great faith and hope. On 6 March 2008, the Romanian Orthodox Church placed him among the saints, being celebrated on 9 September. Glowed by the love of Christ, you have lived in the cave of the Hill of Tazlău, glorifying God and overcoming demons. 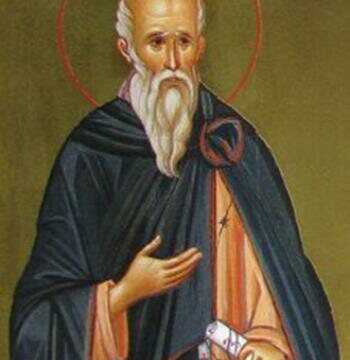 Therefore, we faithfully praise you, oh, Venerable Kyriakos, our Father! 3. The Third Ecumenical Council was convened in the year 431 in the city of Ephesus (Asia Minor) during the reign of the emperor Theodosius the Younger (408-450). The Council was convened to investigate without further delay, the false teachings of Patriarch Nestorius of Constantinople (428-431). Contrary to the dogmas of the Ecumenical Church, Nestorius dared to assert that the Son of God Jesus Christ is not one Person (Hypostasis), as Holy Church teaches, but is rather two distinct persons, one Divine, and the other human. Regarding the Most Holy Theotokos, he impiously asserted that She should not be called the Mother of God, but rather only the mother of the man Christ. The heresy of Nestorius is opposed to one of the basic dogmas of the Christian Faith: our Lord Jesus Christ’s divine and human natures. According to the false teaching of Nestorius, Jesus Christ was born as an ordinary man, and afterwards because of His sanctity of life, He was somehow joined to the Godhead. 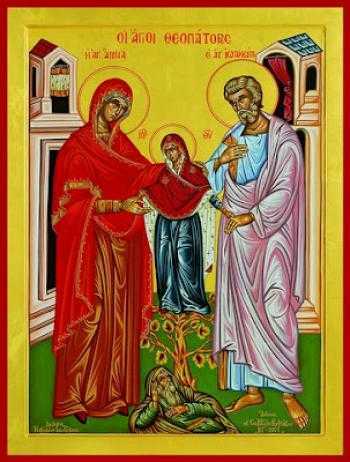 With this blasphemous teaching of Nestorius the Enemy of the race of man, the devil, attempted to undermine the Christian Faith on these points: that the Pre-eternal God the Word, the Son of God, actually was incarnate in the flesh of the All-Pure Theotokos. 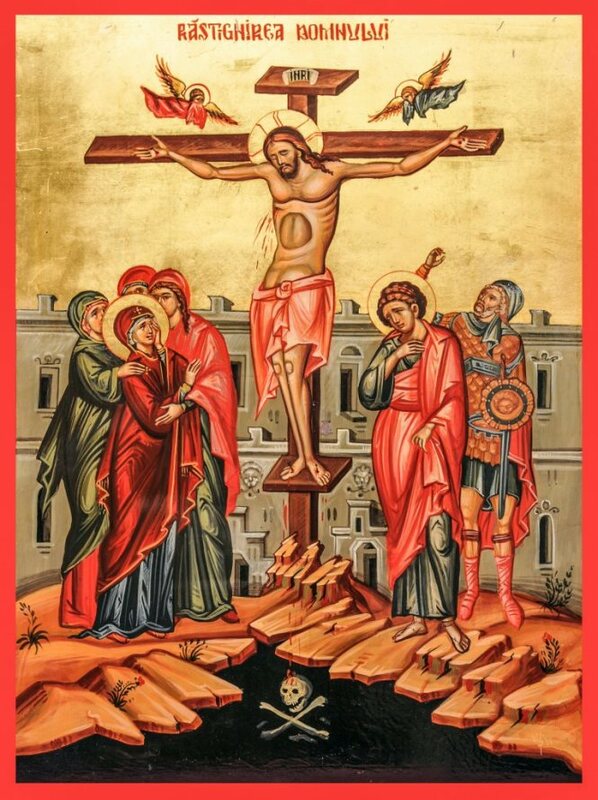 Having become Man, He thereby redeemed the human race from slavery to sin and death by His own suffering and death, and by His glorious Resurrection He trampled down Hades and death and opened the path to the Kingdom of Heaven to those who believed in Him, and to those striving to live according to His commandments. A long while before the convening of the Ecumenical Council, Saint Cyril, Archbishop of Alexandria, repeatedly tried to reason with the heretic Nestorius. Saint Cyril in his letters explained the mistakes of judgment by Nestorius, but Nestorius stubbornly continued with his teachings. Saint Cyril wrote about the danger of the rising heresy to Celestine, the Pope of Rome, and to other Orthodox bishops, who also attempted to reason with Nestorius. When it became clear that Nestorius would continue with his teachings and that they were becoming widespread, the Orthodox bishops appealed to the emperor Theodosius the Younger for permission to convene an Ecumenical Council. The Council was convened on the day of the Most Holy Trinity, June 7, 431. Two hundred bishops attended the Council. 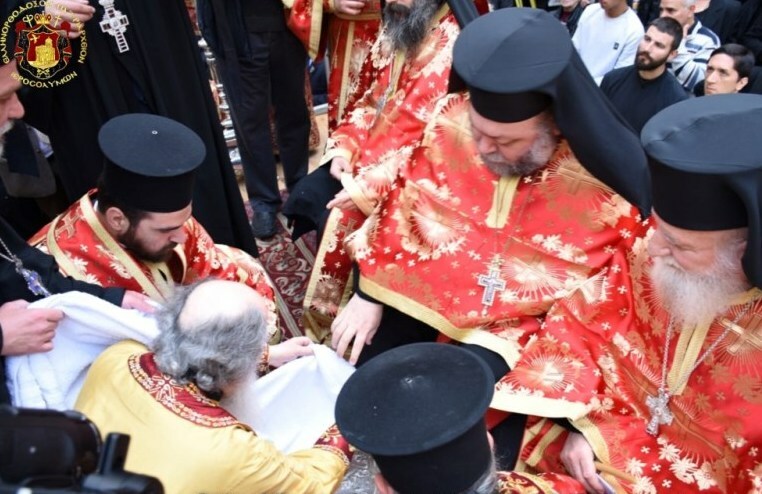 Nestorius also arrived in Ephesus, but he did not appear at the Council even though the Fathers suggested three times that he attend the sessions. Then the Fathers began to discuss the heresy in the absence of the heretic. The sessions of the Council continued from June 22 to August 31. 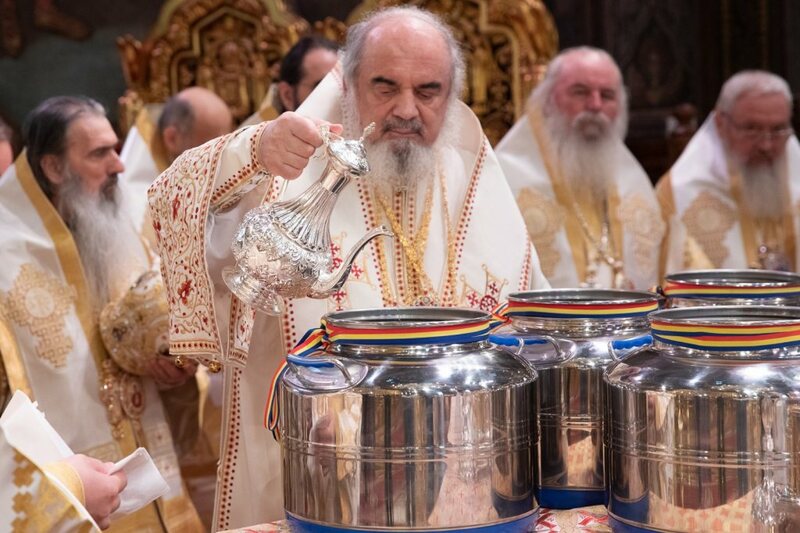 At the Council of Ephesus were present such famous Fathers of the Church as Saint Cyril of Alexandria, Juvenal of Jerusalem, Memnon of Ephesus (Saint Celestine, Pope of Rome, was unable to attend because of illness, but he sent papal legates). The Third Ecumenical Council condemned the heresy of Nestorius and confirmed the Orthodox teaching on these matters: that it is necessary to confess the Lord Jesus Christ as One Person (Hypostasis) in two natures, the Divine and the Human, and that the All-Pure Mother of the Lord be acclaimed as Ever-Virgin and truly the Theotokos. 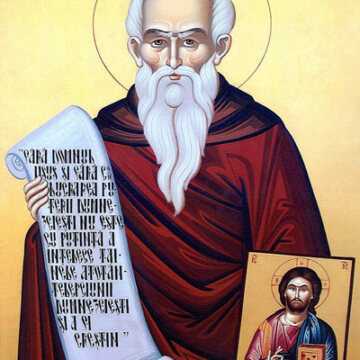 In the guidance of the Church the holy Fathers issued eight Canons, and the “Twelve Anathemas against Nestorius” by Saint Cyril of Alexandria.